The SRT Arms Can-Lock flash hider mount uses our proprietary for mounting .223 suppressors. 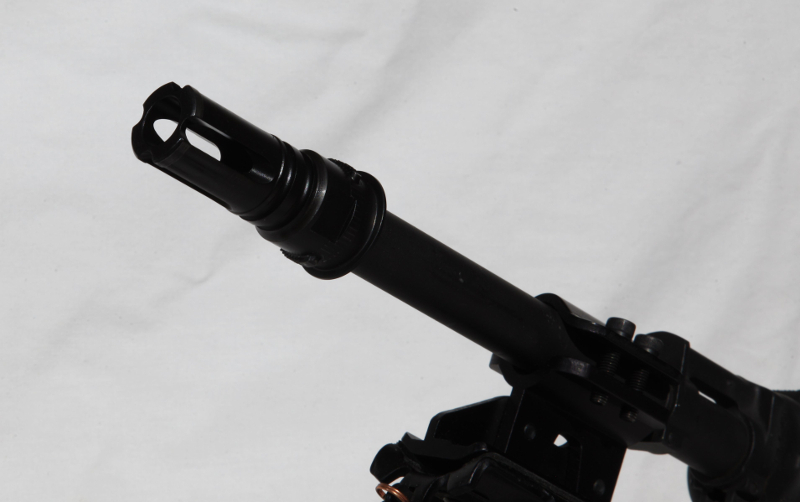 This is a true QD mount, that is a 1/4 turn bayonet type mount with a positive locking feature. There are no O-rings, springs or pistons inside the mount to get gunked up and jam. A metal to metal conical seal keeps the high pressure gases out or all critical parts of the mount, so carbon deposits do not get into the locking lug area. The advanced design utilizes a scientifically selected lockup lug angle so that the high pressures causes the mount to lock up tighter, rather than try to unscrew. The spring loaded safety is user serviceable should a spring ever need to be replaced. The mount tensions the suppressor on the barrel, for wobble free mounting with the conical gas seal as the front stop, and the rear of the angled locking lugs on the flash hider as the tension points. The flash hider grooves are blank firing device compatible. 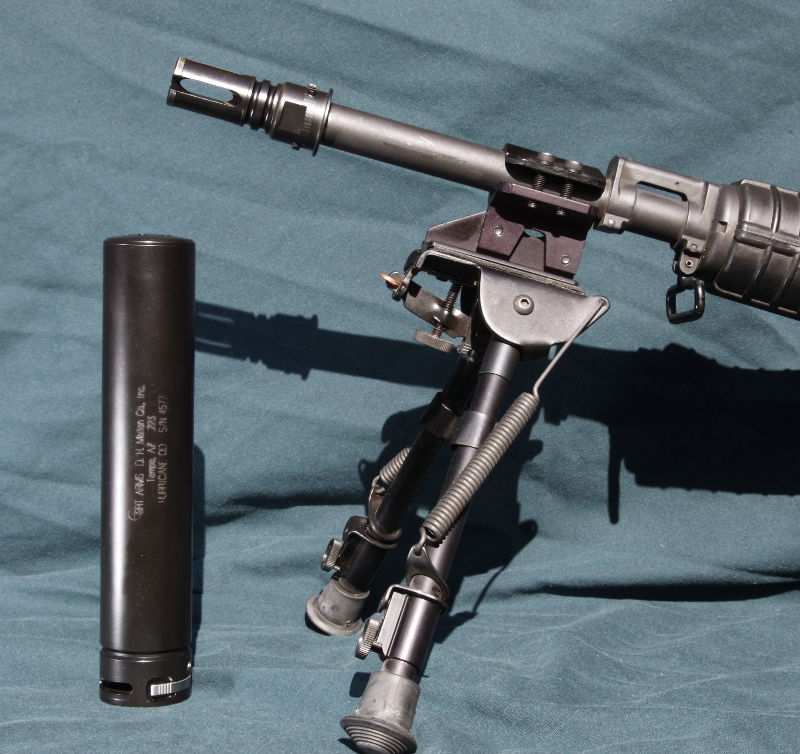 The muzzle signature on the Hurricane QD is 130 dB on 14.5″ barrel M4 carbines. Available on the Hurricane and Typhoon stainless models only.